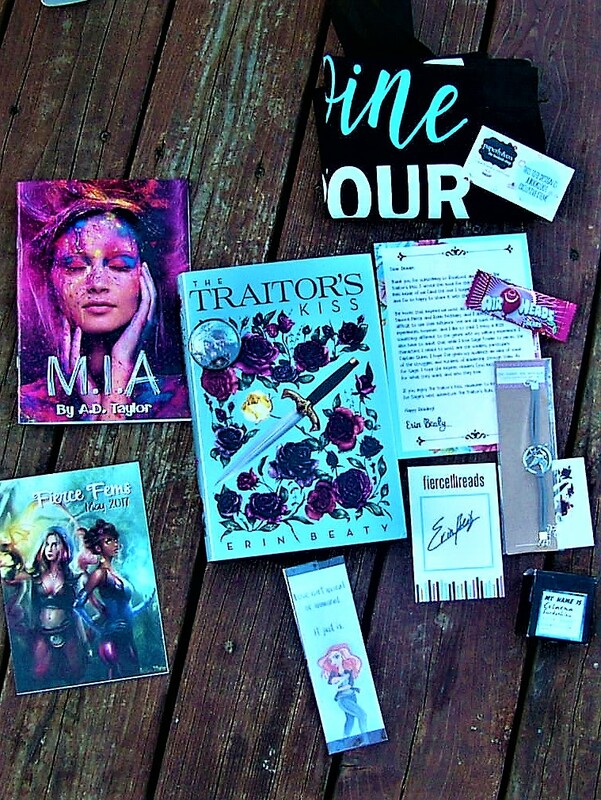 I wanted to share with you another BookLoot review! This box is an amazing young adult fiction box, and I am sure that you will just love it. LOVE YA? We do too! Join us on a fantastic journey through multiple YA genres and themes with our Monthly box! 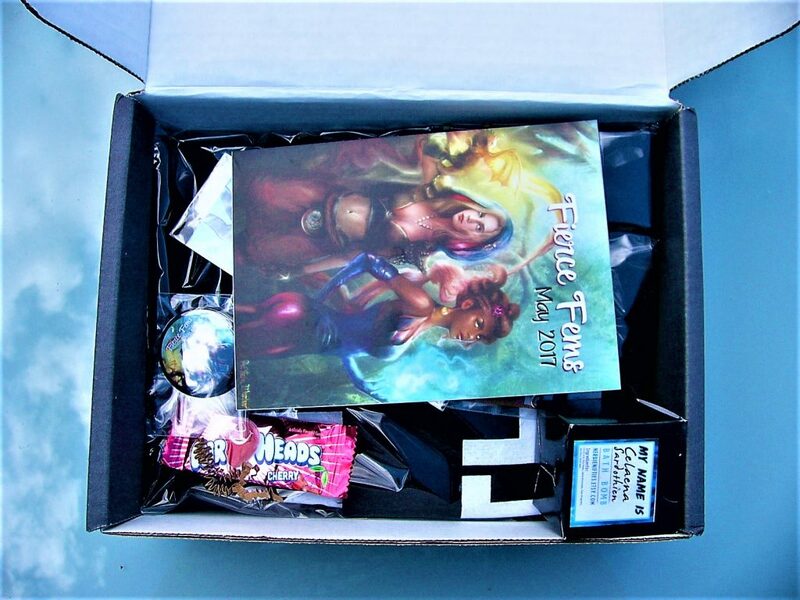 All boxes come with a newly released Young Adult book, 3-4 handcrafted bookish goodies, and an exclusive first publishing of our community submitted themed short story. 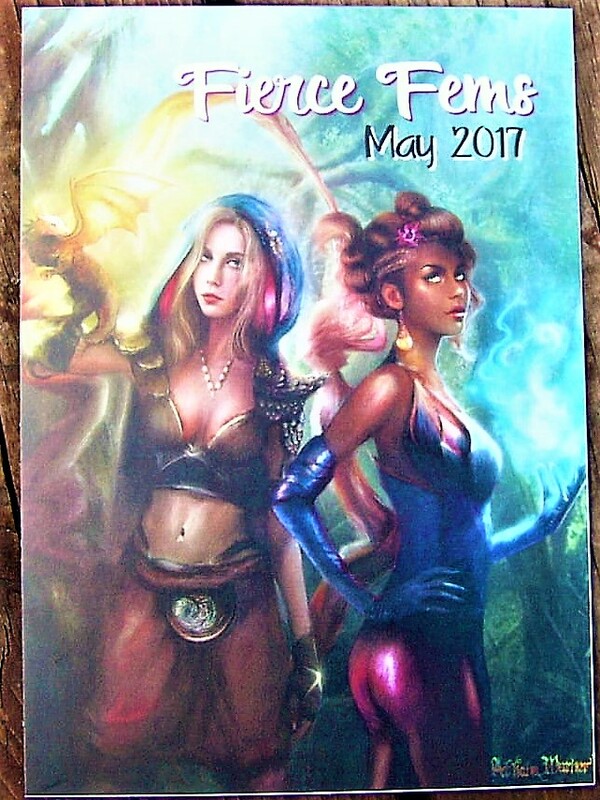 This month’s theme is “Fierce Fems”! I always love a great female power box. 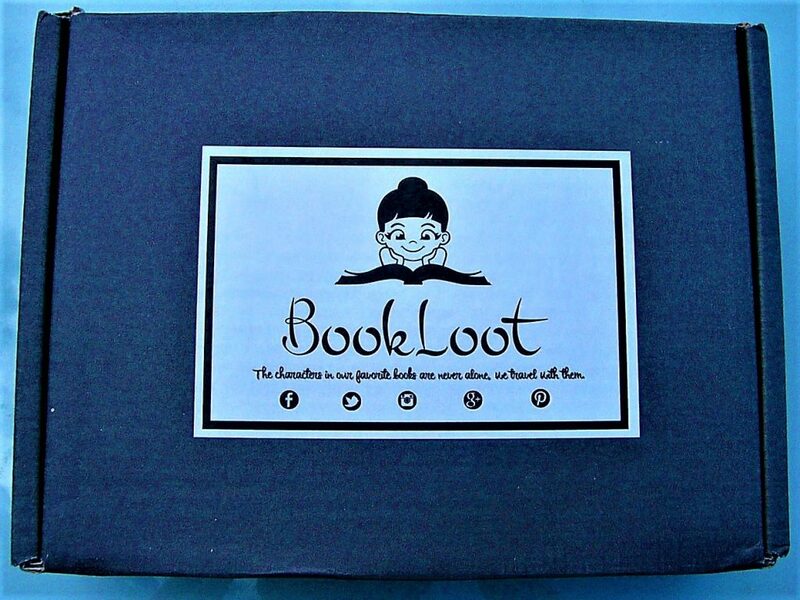 BookLoot arrives in a simple navy blue box with the logo sticker on top! Upon opening the box, you can see how many goodies are packed inside! 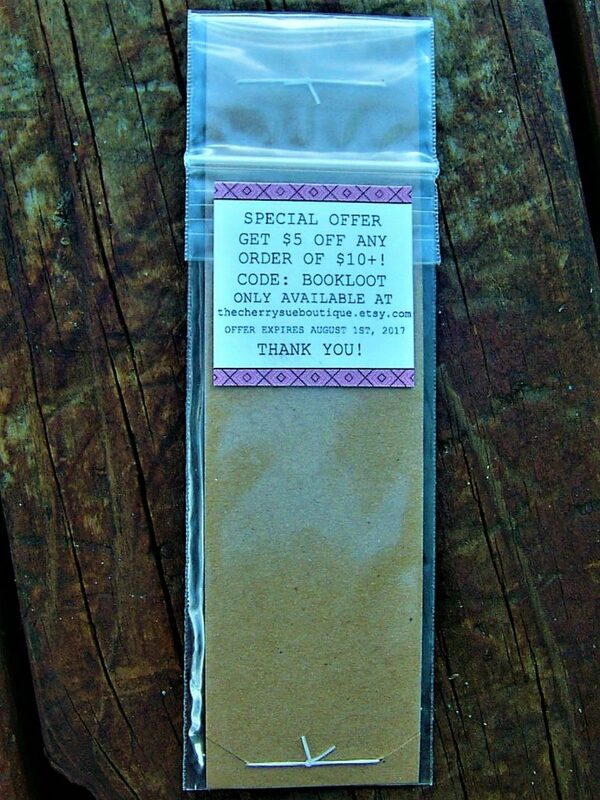 I love how the artwork on the item list is the first thing that the subscriber sees. Here is a closeup of the gorgeous artwork on the insert card! The artwork is by Athena Warner. I love how the item list describes each item in depth. This helps the subscriber connect to the owners of the box – Sara and Eugene – as well as the theme! The first item, my favorite item, is this tote by Paperly & Co.! 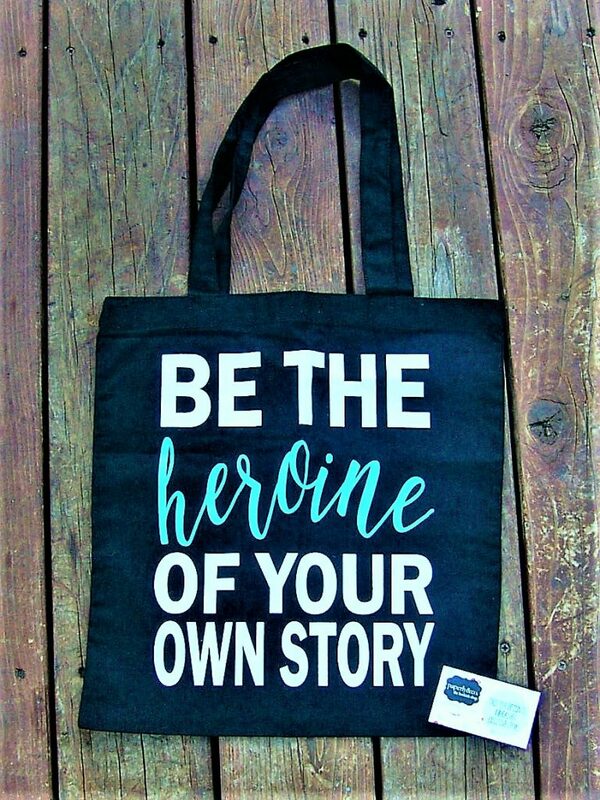 The tote says “be the heroine of your own story”, and I love that message! 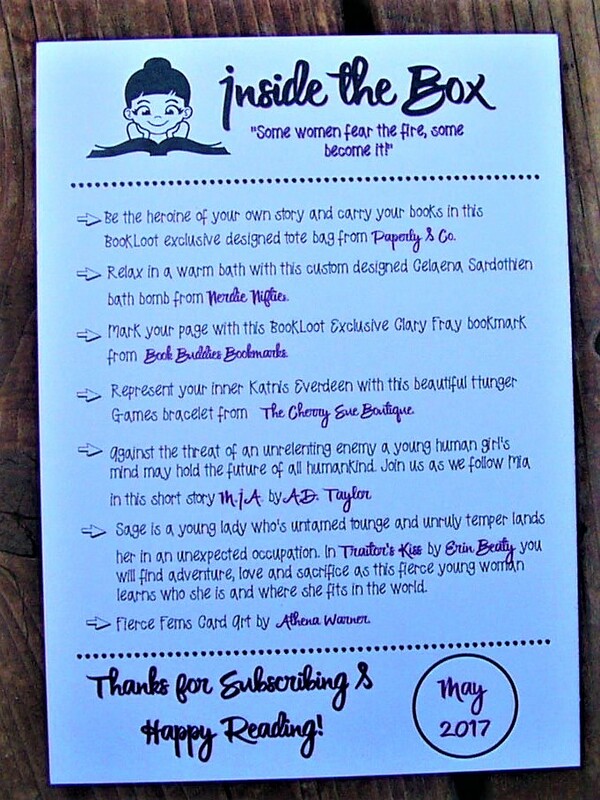 BookLoot has worked with Paperly & Co. before, and I just love their items! 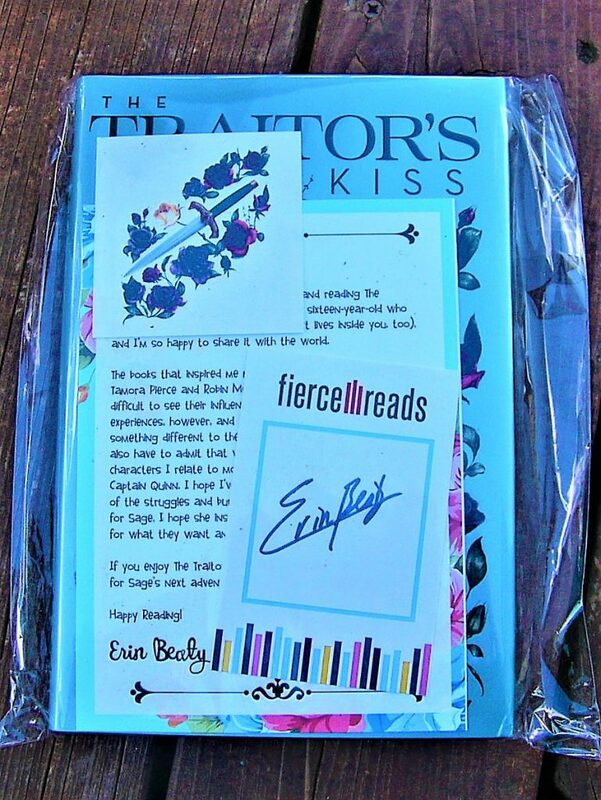 This is a great small business for bookish items. 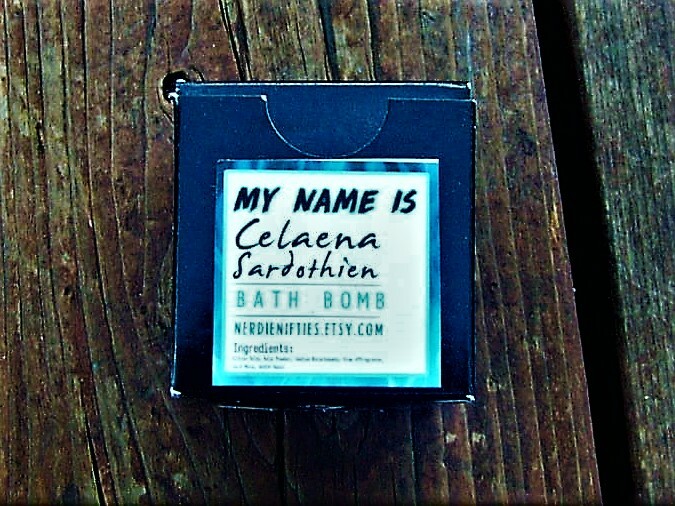 The next item is a Celaena Sardothien Bath Bomb from Nerdie Nifties! This bath bomb is based on the character from Throne of Glass by Sarah J. Maas, and I love the scent! Bookish related bath products are definitely my thing. Thank you, BookLoot! 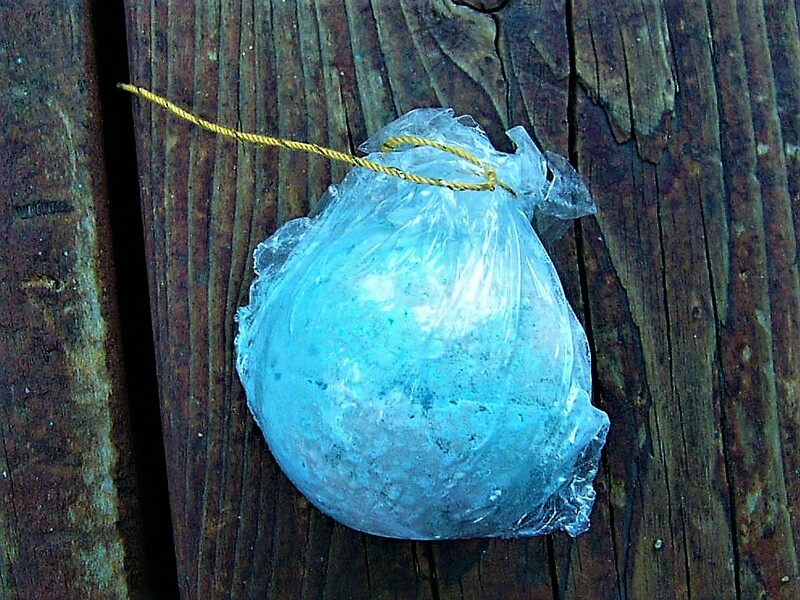 Here is a closeup of the bath bomb! The light blue color is just gorgeous, and it goes well with Celaena’s character. 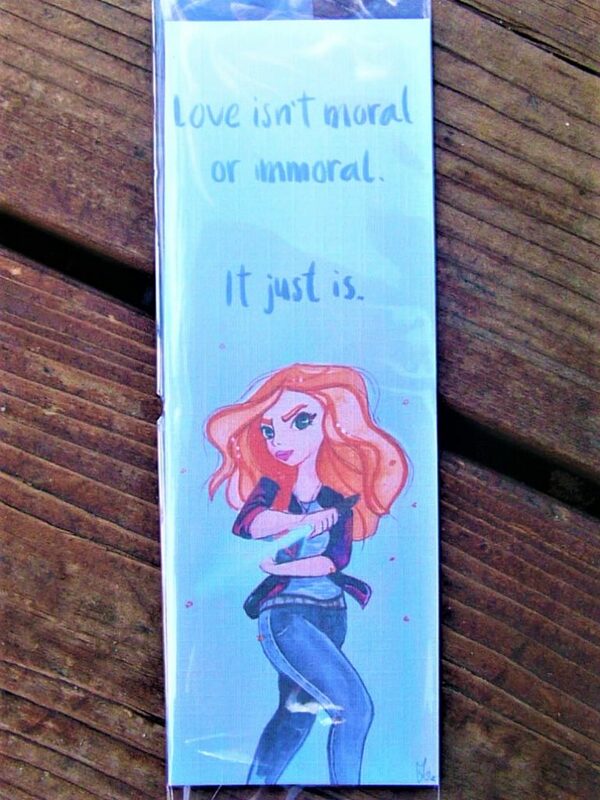 The next item is a bookmark of Clary Fray from the book series The Mortal Instruments! Clary is one of my favorite female characters of all time, so I adore this item! 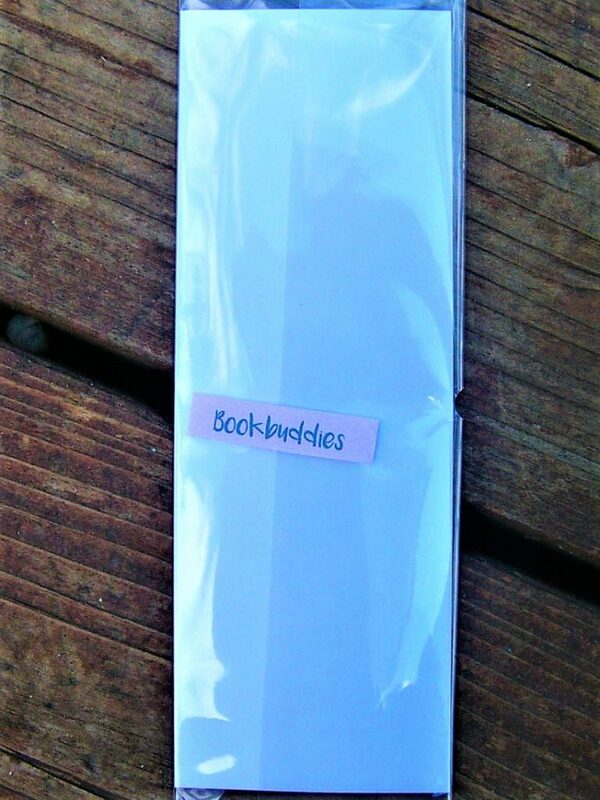 This bookmark was made exclusively for BookLoot by Book Buddies Bookmarks! I adore how many exclusive items BookLoot comes with. This makes the box one of a kind! 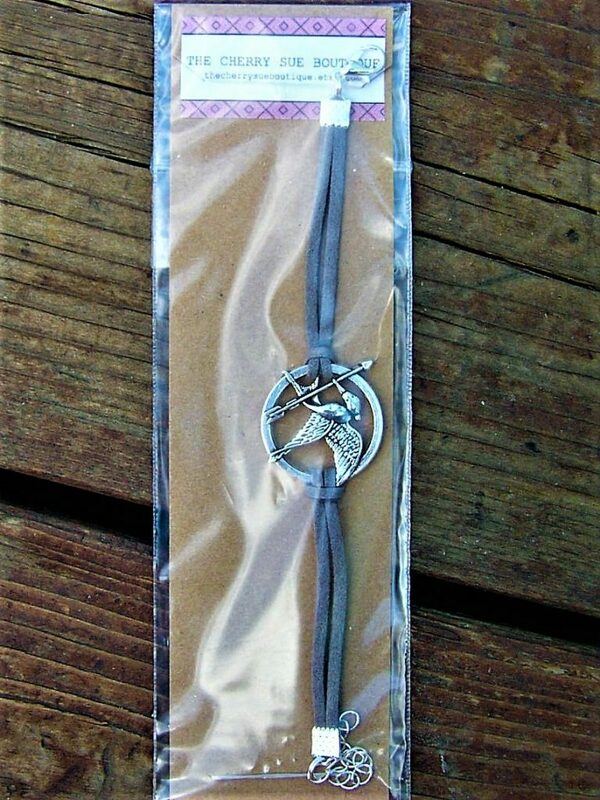 The next item is this Katniss Everdeen bracelet by The Cherry Sue Boutique! Katniss is a wonderful fierce fem, so I was happy to see her included. The bracelet also came with a coupon for The Cherry Sue Boutique! 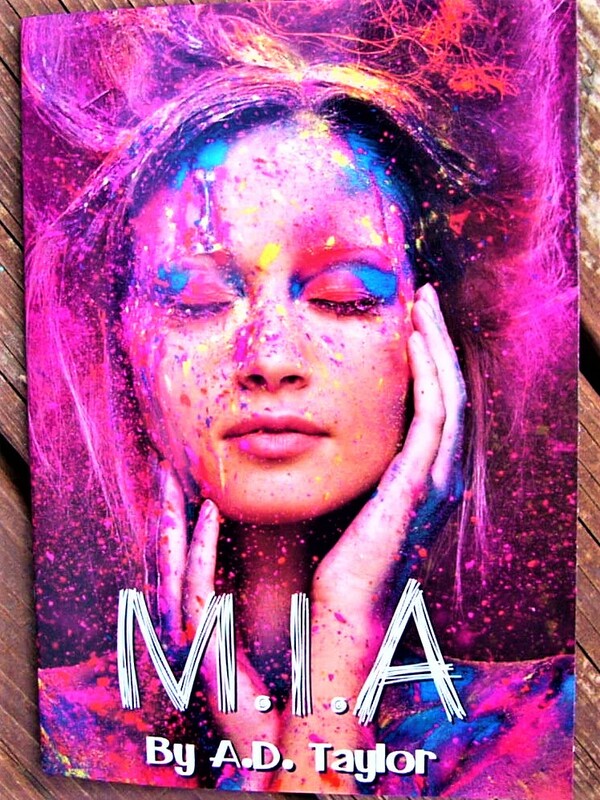 The next item is a short story called M.I.A. by A.D. Taylor! BookLoot is unique because they publish a new short story each month from submissions that they receive. I love the artwork that goes with this short story! I always like trying new authors. And now for the main attraction: the book! I love how the book comes wrapped with swag so that it is protected. 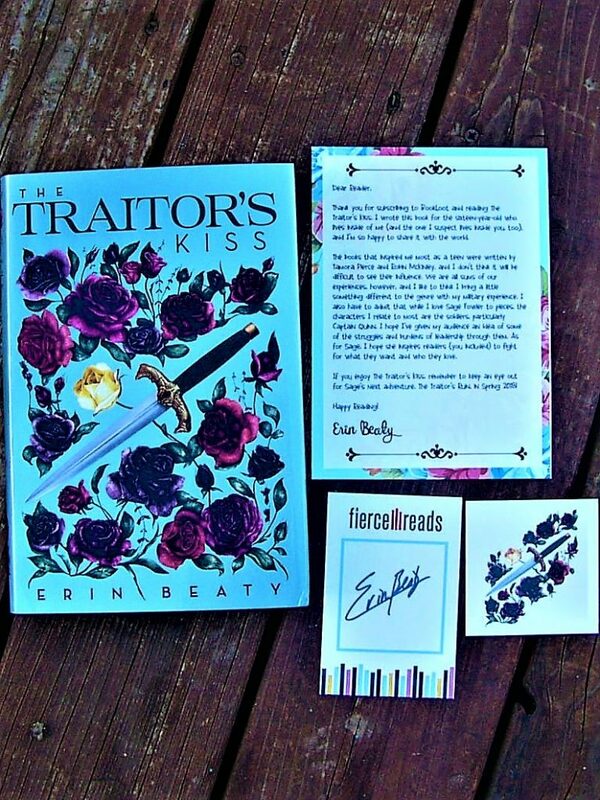 This month’s book choice is The Traitor’s Kiss by Erin Beaty! The book also came with a letter from the author, a signed bookplate, and bonus swag. I always love receiving bonus goodies with the books. It makes receiving the book more special! With a sharp tongue and an unruly temper, Sage Fowler is not what they’d call a proper lady―which is perfectly fine with her. Deemed unfit for a suitable marriage, Sage is apprenticed to a matchmaker and tasked with wrangling other young ladies to be married off for political alliances. She spies on the girls―and on the soldiers escorting them. Final Thought: This BookLoot box was great! I adored the “Fierce Fems” theme and the items connected to characters I love. I can always tell that BookLoot makes sure that their boxes are carefully packed and curated, and I appreciate that effort. I also love how they support aspiring writers through their short story program. If you are looking for a great young adult fiction box that sets itself apart from the others, then be sure and check out BookLoot! *NOTE: The Box Reviewers paid for this box to review.